Russia’s main trance music festival will fill the hearts of the audience in Moscow with tenderness and passion.Starring Emma Hewitt, Christian Burns, Feel and others, the next episode of the TranceMission festival will be dropped in the Moscow club Adrenaline Stadium at the most romantic weekend of the year and will be dedicated to the relevant theme of Saint Valentine.The cult trance music festival with the 17-year-old history is bringing together the best Russian and foreign stars of the genre again to make the lovers’ hearts beat in unison with hypnotic electronic passages. The best museums of Moscow offer free admission on February 17 2019. Every 3rd Sunday of the month is Moscow’s Free Museum Day. Synthpop group Years & Years will play an intimate show celebrating the launch of their second album Palo Santo. Formed in 2010, the band’s chart-topping debut studio album, Communion, was the fastest-selling debut album in 2015 from a UK band. Nobody does Frank Sinatra better than Stephen Triffitt. His voice, his moves, his style, even his looks – Stephen has made the great man his own. As one journalist put it “You’d swear you’re listening to the original.” He had sold out the London Palladium and the Festival Hall with his spectacular solo concerts. Triffitt has also performed for many prestigious clients including; Prince Philip, Simon Cowell, and he was the headline act at The Beckham’s lads’ christenings for Victoria and David Beckham at ‘Beckingham Palace’. He has performed in concert with The BBC Symphony Orchestra for Friday Night is Music Night, The Metropole Orchestra (Amsterdam) and London Symphony Orchestra as well as summer concerts at Beaulieu, Audley End and Kenwood House. His voice has also featured in many films, TV programmes and adverts. 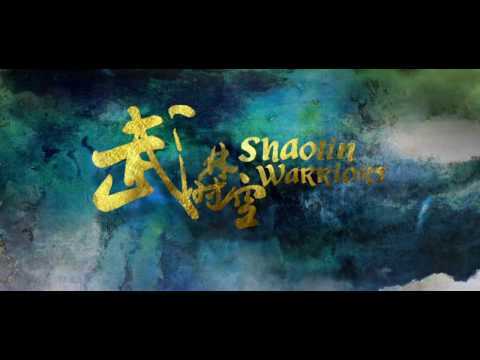 Shaolin Warriors is more than a Kung Fu show; it’s a traditional strength through adversity story. Featuring rarely seen deadly martial-arts prowess, this breathtaking extravaganza starring 20 Kung Fu masters follows the journey from a young child’s initiation into the monastery, to achieving fully fledged warrior status through diligent training and study. The original Kung Fu spectacular, Shaolin Warriors has had audiences around the world gasping in disbelief at the awe-inspiring demonstrations of hypnotic and death-defying feats. From balancing on sharp metal spears to smashing marble slabs with sheer brutal strength, the Shaolin Warriors will amaze audiences beyond the boundaries of their own belief. Supported by stunning scenery, atmospheric music, spectacular lighting and costumes, Shaolin Warriors is the ultimate display of theatre and deadly physical prowess, and a “must-see” for adults and children alike. The Moscow Virtuosi State Chamber Orchestra is holding a concert as part of the project “Classical Music for Night Owls”, at the Moscow Planetarium. Under its starry cupola, the musicians will play the cosmic music of international jazz legends. The programme “Dances of the World Nations” is a unique series of choreographic works staged by Igor Moiseyev, well-known and loved around the world. The programme includes: Russian dance “Summer”, Kalmyk dance, “Tatarochka”, suite of Moldovan dance «Zhok», Old City Quadrille, choreographic picture “At The Rink”’, the dance of Argentine shepherds “Gaucho” and others which have become world classics.For 80 years Igor Moiseyev Ballet remains a symbol of a highly professional and an extremely sincere and heartfelt example of art. The “Swan Lake” ballet with brilliant music by Pyotr Tchaikovsky is currently the most famous ballet in the world, and a symbol of the Russian ballet. The base of the story is an old German legend telling about a beautiful princess Odette turned into a swan by the curse of an evil wizard Rothbart. For over 100 years, Russian circus acts have thrilled audiences around the world with dazzling and jaw-dropping performances packed full of artistry, hilarity and world-class athletic skills. Moscow Circus Show is a perfect blend of acrobats, art, and fun, which everyone should experience once in their lifetime. Kahlo’s complete collection and 40 of Rivera’s paintings will be exhibited at Manege steps from Red Square. Frida Kahlo de Rivera was a Mexican painter known for her self-portraits. Her work has been celebrated internationally as emblematic of Mexican national and indigenous traditions, and by feminists for its uncompromising depiction of the female experience and form. Next story The Jewels Ballet at Bolshoi Theatre!